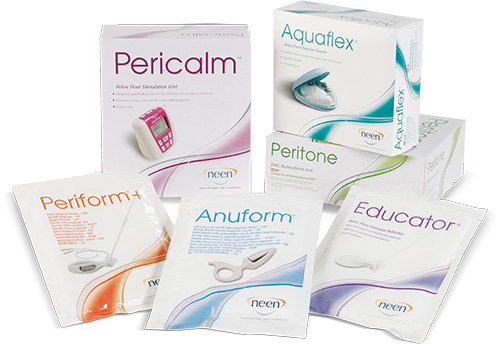 Neen is the leading brand in the pelvic health sphere. Brought to market by Performance Health, we design and manufacture a range of pelvic health products that are recommended worldwide by healthcare professionals. Developed with key opinion leaders in Women’s Health Physiotherapy, the Neen range is designed to strengthen the pelvic floor muscles and treat symptoms of incontinence. It is Neen’s mission to positively change the way people view pelvic health by opening up the discussion and producing quality, trusted solutions in conjunction with accessible specialist knowledge for all. Neen’s cutting-edge thinking has been recognized through various prestigious awards for design, enterprise and research and development and will continue to be a trailblazer for pelvic health. Innovative monitors provide biofeedback and education to support the strengthening process.